A discusses a box with Omoi, Karui, Samui and Mabui, when suddenly gas covers the room knocking everyone asleep. Then a hooded figure leaps out attacking the sleeping Raikage, only for the figure to stop right before killing A. When A is seen above the figure, the figure dodges, and is able to fight equally with A. In the battle A is able to destroy the hood, revealing the hooded figure asNaruto Uzumaki. A is shocked, taking advantage, Naruto escapes. As Team Samui and Mabui wake up, A tells them to summon Killer B. In Konohagakure, Tsunade states that Naruto is wanted for attempting to assassinate the leader of Kumogakure, the Raikage, and killing jōnin from Kirigakure and Iwagakure to Team Kakashi. Naruto and Sakura refuse claims, but Tsunade states Naruto will be placed in Hōzukijō, a criminal containment facility, also known as the "Blood Prison", in Kusagakure. Naruto attempts to escape, only for Yamato to encase him, and Tsunade takes away his forehead protector. When Naruto arrives at Hōzukijo, Mui, the head of the prison, quickly places the Fire Release: Heavenly Prison on Naruto, sealing his chakra. Naruto learns this the hard way after using his shadow clones, Naruto quickly collapses from the pain caused by the seal. Naruto is later taken captive by Maroi who is working for Mui, when Naruto is brought to a lab, Mui realises that the Naruto taken was a clone. While the real Naruto was hiding, he used the chance to escape. But the pain from the seal made him pass out, he was taken into solitary confinement. When in solidarity confinement, he hears a mysterious voice say, if he can defeat Mui, then the seal will disappear. Naruto then after being released, attacks Mui. But the seal causes Naruto to collapse, and he is taken back into solitary confinement. During the fight, Mui questions Naruto devotion to his home, wondering why bother be loyal. When Naruto is released, he is looked up to, by the rest of the prisoners. Naruto, later attempts to escape again, by knocking out one of the guards, and taking his clothes, when his shadow clone fools everyone. As he is able to get to the edge of the island, when Ryūzetsu tells him to stop. Naruto refuses to listen, and he jumps into the whirlpool. He nearly drowns, but Ryūzetsu saves him. Naruto sees that she is a girl, and that it is her mission to kill Mui and stop the Box of Ultimate Bliss. She reveals that Mui even sacrificed his son, Muku to the box and that Mui set Naruto up. She asks for Naruto's help to destroy the box. Naruto agrees, the next day Naruto challenges Mui again, but is defeated and taken to solitary confinement. While Naruto is confined, Ryūzetsu attempts to kill Mui only to reveal that she attacked Maroi, Maroi forms an alliance with her, saying he is not really on Mui's side, just the side that benefits him the most. When Naruto is asked to leave the punishment room, he uses a clone to gather some natural energy because he intends on using Sage Mode. 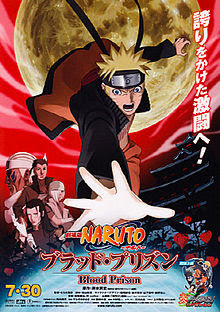 Naruto and Ryūzetsu pretend to fight, while engulfing the entire courtyard in the fright, while Maroi forces prisoners inside to fight as well, creating chaos. In the chaos, Maroi performs a technique in the sky, while Naruto tries to find the box. Just before he is able to destroy the box, he is captured by Mui. Mui extracts some of Naruto's chakra, allowing the box to revive. Naruto is able to escape. Mui then reveals that his wish is to revive his son. The box grants his wish, opening up, allowing a grown up Muku walk out. Muku then impaled Mui and knocked out Kazan and Muku transforms into Satori. When all chaos breaks out, Naruto enters Sage Mode and then tried to use theBig Ball Rasengan on the Box of Ultimate Bliss to destroy it but fails. Naruto then is engaged in combat with Satori, but fails because he is unable to touch Satori. So he summons Gamabunta to help combat Satori, but they can't attack him, due to their moves being predicted before-hand. Eventually, Naruto runs out of senjutsu, allowing the Satori to attack Naruto forcing Gamabunta to defend him, which forces Gamabunta to be defeated, Satori attacks again, but Naruto is saved by Killer B.
Naruto is amazed that Killer B and all his friends have gathered there. As Naruto wonders why this is happening, Tsunade reveals that it was Naruto's mission to destroy the box and that no one believed that Naruto really committed any of the crimes. It was also revealed that Maroi was a friend of B's and he was the mysterious voice. Naruto decides to attain Sage Mode once more and tells Killer B and the others to distract Satori, while he does this. Naruto is able to realise that the Satori cannot read the minds of people, but he can read their fears, allowing Naruto to fight Satori evenly in Sage Mode. Naruto attempted to end the battle by creating a large Rasengan, with two clones, however Satori impales him and Ryūzetsu. Naruto is able to wake Mui up, and uses his shadow clones to hold Satori's wings, pushing Satori back and therefore allowing Mui to weaken it. Naruto uses this time to free himself and Ryūzetsu, and defeats Satori by firing a Wind Release: Rasenshuriken, returning Satori back to normal. Muku kills both his father and himself and apologises to Ryuzetsu for not keeping his promise. The prisoners attempt to escape, but are stopped by Naruto's friends. After capturing all the prisoners, Sakura tries to heal a dying Naruto, but has no success, until Ryūzetsu revives Naruto, by using her kekkei genkai but at the cost of her life. In the aftermath, Mui and Ryūzetsu are shown buried next to each other. Naruto ties Ryūzetsu's bandanna around her gravestone.